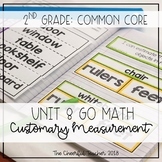 Also included in: GO Math Second Grade Common Core BUNDLE! This is a file I have created to use with my students to help my lesson run smoothly and taking advantage of the online resources. I have Chapters 1-8 available online. I will add chapter 9 when I create it for my own use with my students. Use these cards to review skills from chapter eight of Go Math for second grade. This is a great way to prepare for the test. Includes an answer key! 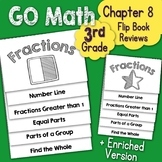 This interactive notebook aligns with Go Math! 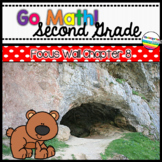 (Florida CCSS version) Chapter 8 for 2nd grade. Included: Chapter vocabulary graphic organizer I Can statements/activities for each lesson Teacher Notes Page Please email me at ebuckler@hotmail.com with questions. Go Math end of the lesson assessment. Show what you learned with an exit slip. 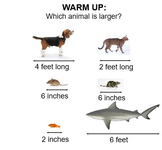 This is a quick assessment for the teacher to show student understanding of the concepts being taught. I have no relationship with Go Math. This product is new work made by me and my product will work with their product. Problems of the Day for Go Math Grade 2, Chapter 8, Lengths in Customary Units. These are great to use for a morning do now or small group work. While they are from the Go Math series, they will work with any math program to help practice math strategies. This is an engaging review game for the 2nd grade Go Math curriculum - Chapter 8. The game looks just like the game show Who Wants to be a Millionaire and contains questions very similar to the Go Math Chapter 8 test for 2nd grade.